Cristiano Ronaldo is known the world over not just for being one of the best players to ever take to a football pitch. Even non-football fans know how much effort goes into maintaining his looks and immaculate image. However, it may come as a surprise to learn that the record-breaking Juventus forward recently opened a hair transplant clinic. We wanted to ask – is this the real deal, or just a quick way to make a fast buck? According to Spanish media outlet AS, Ronaldo recently acquired a 50% stake in Inspraya – a Portuguese based hair transplant clinic who are now beginning operations in neighbouring Spain. Inspraya already own 10 clinics in Portugal and have so far made approximately 35,000 hair transplants. The treatment takes around six hours to complete, with costs ranging from £3,400 to £6,000. Ronaldo recently attended the inauguration of Inspraya in Spain and said he was keen to help people with alopecia. The condition causes people to undergo either partial or complete loss of hair from the head which then leads to premature baldness. 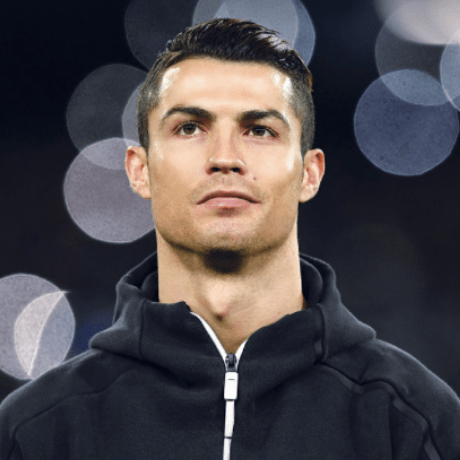 In addition to helping people regain their confidence by regaining control of their hair growth, Ronaldo also said he wanted to help the Spanish people and boost the country’s economy. The clinic will employ 150 people and aims to perform an average of 18 transplants a day. Services will not only be for hair loss on the scalp, but also for beards and eyebrows. Ronaldo also stated that he would also be prepared to use the company’s services, should he start to lose his hair. He openly admits how important his image is to his success on and off the field and says his passion for health, research and technology will ensure he continues to invest in these areas. Is Ronaldo Genuinely Interested In Hair Loss Treatments? At this stage it is hard to tell how genuine Ronaldo’s interest is in helping men with their hair loss. Not many people would have expected him to buy into a hair loss clinic, given the wealth of money-making opportunities available to him. Ronaldo already owns his own hotel chain but this recent investment adds to an ever increasing portfolio, with the Real Madrid legend having one eye on retirement in the next few years. However, he is also intelligent enough to know that making this sort of investment will help boost his image further off the field. When he does eventually hang up his boots (which isn’t too far off) how he makes his money will come under much more scrutiny. This investment could just be a way to boost his income while maintaining his popularity when he is no longer centre stage in the football world. But only time will tell and we don’t want to be too cynical just yet. While we do not believe hair transplants provide a sustainable treatment, having Ronaldo’s name attached to the subject of hair loss can only be a positive thing. If it raises awareness and encourages men to talk about it more and seek help, then we are all for it.